Angel is such a pretty little roan. 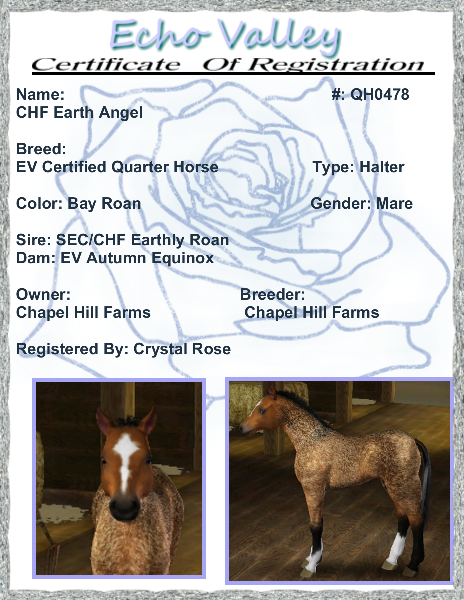 She is the last foal from SEC/CHF Earthly Roan, so I wanted her to be special. I love her coat.